Welcome to the South West! 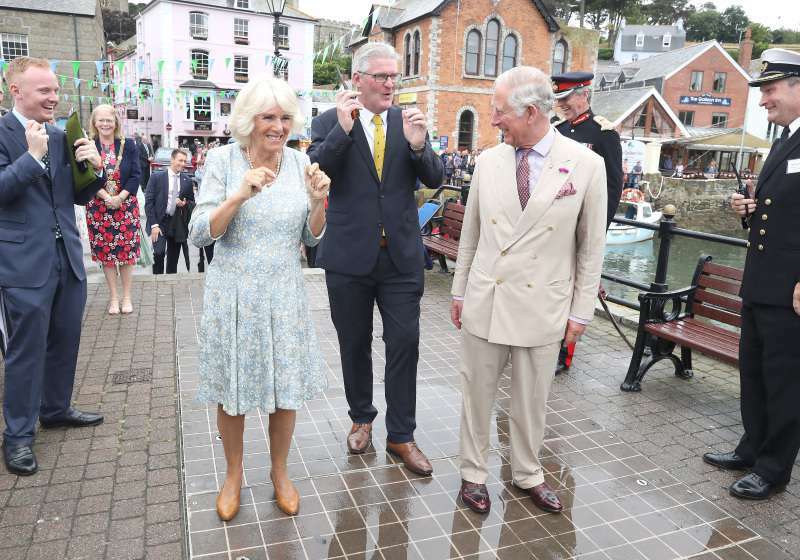 Prince Charles and his wife, Duchess Camilla, have just began their annual tour to the region by visiting Fowey, a small harbor town in Cornwall. What was on their plate that day? Their Royal Highnesses were quite busy, as they first joined the Celebration of Fowey Festival, and then toured Wheal Kitty. 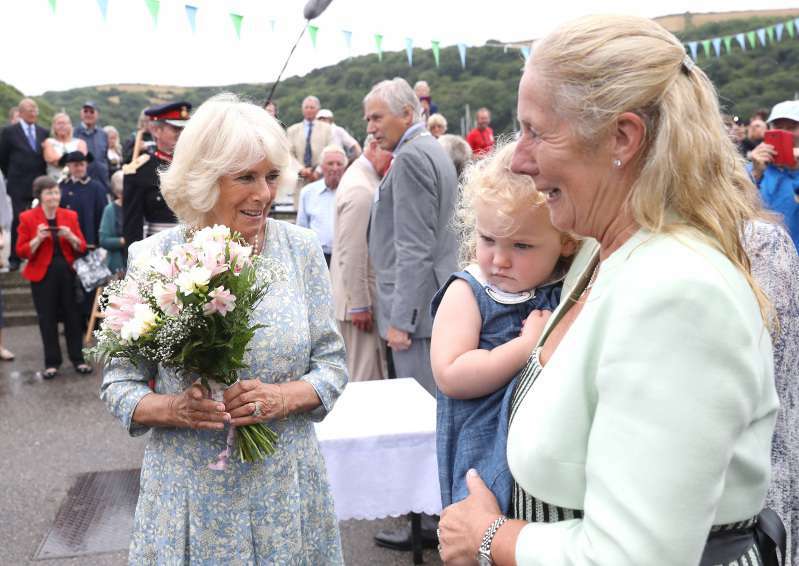 The Duke and the Duchess of Cornwall also visited some local firms and catering businesses. Although it was raining, the two seemed to enjoy the visit. Just take a look at this picture! 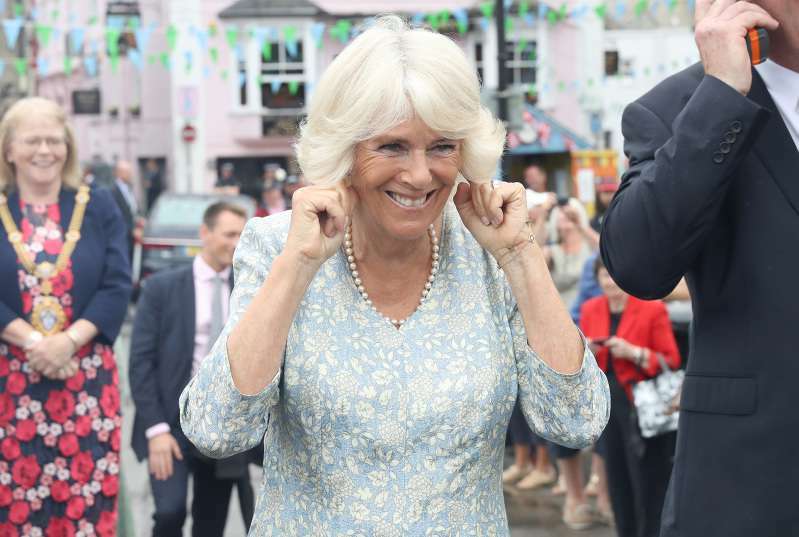 Duchess Camilla was all smiles, even though she was forced to stick her fingers in her ears to black the noise of the cannon. The 71-year-old was then spotted chatting to locals and accepting flowers. For the event, she opted for a summery pale blue dress with gray and white floral patterns. She completed her look with brown leather courts and pearls. Meanwhile, the Prince of Wales sported a light linen suit. Camilla was beaming and glowing! It’s no surprise people rushed to the royal family’s Twitter feed to comment on the duchess’ outfit. And for the most part, royal watchers were impressed by her fresh look.